By Suzanne MacNevin - November 2009. DISCLAIMER: You cannot learn yoga from a website or a book. There is no substitute for a proper yoga teacher in a traditional yoga setting. I also discourage people from taking yoga in a gym setting, because gym instructors have different priorities than traditional yoga instructors. Start with the basics of yoga before you try anything weird like water yoga or hot yoga. Once you learn the basics of yoga you can start doing it at home without supervision, but its important you learn proper technique and safety from an instructor. If you injure yourself its your own fault for not seeking out a yoga instructor and paying attention to them. This website is meant only as an introduction to yoga practice. No website or guidebook, no matter how comprehensive, will prevent you from injuring yourself if you fail to heed this warning. Please also note this site is going to focus on yoga as an exercise and not on the meditation or spiritual elements of yoga. Yoga first start in India about 5,000 years ago and is closely related to Hindu philosophy of unity and balance between the body and mind. Common forms of the physical discipline are Hatha Yoga and Vinyasa. 16.5 million American adults in the United States practice yoga according to a 2005 study, up 43% from a similar study conducted in 2002. Its safe to assume yoga is becoming a more popular form of exercise. Athletes are resorting to yoga to stay in shape. Even NHL hockey players in Canada are taking yoga twice a week during the off-season in order to stay in peak physical condition. Note: You should avoid doing some of these poses if you are: Pregnant, have high blood pressure, difficulty breathing or suffering from neck, back or hip injuries. Consult a registered physician. Breathing deeply through your nose, start lying down on your back. Bend your knees and bring the soles of your feet to the floor, hip- distance apart and with your toes pointing directly forward. Resting your arms on the mat alongside your torso, press into your heels and lift your hips. If this is challenging, stay here for between five and 10 breaths. Avoid turning your head from side to side; simply look straight up. For more intensity, clasp your hands together under your pelvis, interlace your fingers and keep your arms straight. Rocking gently to one side and then the other, bring your shoulders underneath you so that the weight rests on the tops of the arms. When you're finished, roll down one vertebra at a time, with the hips coming down last. Bring your knees to your chest and rest for a few breaths. Start in a sitting position with your legs straight out in front. Engage the muscles of your thighs and rest your palms on the mat beside your hips. Use your arms to help you lengthen your spine, from your tailbone up to the top of your neck. Keeping the length in your spine, engage the muscles of your lower belly and walk your hands forward, bending at the hips rather than at the waist. If you're feeling sensation in your hamstrings, you're doing it right. Rest your hands on your legs, the floor or lightly grip the outer edges of your feet. Stay in this pose for between five and 10 breaths. To release, gently walk your hands back to a sitting position and relax onto the floor on your back. Start in a sitting position with your knees falling open and the soles of the feet together. Place your heels about 18 inches from your hips. Walk your hands underneath your lower legs and bring your hands onto the tops of your feet. If this position is not possible, rest your arms on your lower legs. Rounding your spine, lower your forehead toward your heels. Stay for as long as feels comfortable, working up to five or 10 minutes to increase the release. Gently lift the head, slide the hands out from under the legs and come to sitting. Use your hands to help you draw your knees back to centre. Relax onto your mat on your back with your knees drawn into your chest. Start in a kneeling position, sitting on the feet with toes gently touching and the knees about hip-width apart. Walk your hands forward and lower your torso down to your thighs. Rest your forehead on the mat. Stay in the pose for 10 breaths, and feel the weight of your hips sink into the mat with gravity. Release all muscular effort and enjoy the rest. Begin in a prone position, face down on your mat. Place your hands underneath your shoulders, with the fingertips aligned with the tops of your shoulders, and your fingers spread wide. Using only the muscles of your back, lift your head and chest up and look straight forward, bringing a bend to the upper part of the back. Press your pubic bone into the mat and lengthen the legs, pointing the toes straight behind you. To be sure you�re using the muscles of your back, lift your palms away from the mat. Stay in this pose for between three and five breaths, then lower the head and chest and arms back to the starting position. Rest for a few breaths, then repeat once or twice. Start in standing pose. Breathing deeply through your nose, step back with your right foot, about one leg-length. With your left foot pointing straight forward and your right toes angled out about 45 degrees, align your heels. Bend your left knee deeply, and make sure your knee hovers over or behind your left ankle. If it�s in front of your ankle, move your foot forward so your shin is perpendicular to the floor. Square your hips forward and keep the back leg straight and strong. Raise the arms up. Relax your shoulders and feel your shoulder blades sliding down your back. Feel your back arching slightly, and lift the eyes and the heart up. Hold for between five and ten breaths, then step the feet together and repeat on the other side. Lie on your back in a relaxed, symmetrical position, with your spine straight and the back of your neck long. Feel your shoulder blades resting on the floor. Place your hands alongside your torso, with your palms up and your fingers gently curling. Allow your toes to fall open. Affirm that you will not fall asleep. Starting at your toes and working upward to your head and face, mentally scan your entire body, gently requesting that each body part relax and let go. Relax for between five and 30 minutes. If necessary, set an alarm. At first, you may find that you naturally fall asleep, but if you can stay alert, you will begin to experience the benefits of meditation. To complete the posture, roll onto one side and come into a sitting position. Traditionally you sit for a moment to give thanks to your body and mind for allowing you to practise yoga and think positive thoughts about people you care about. Can Yoga Help You Cure Cancer? Scientific research has shown that yoga can be used to control physical functions such as blood pressure, heart rate, breathing, metabolism, body temperature, brain waves, and even skin resistance. This can result in an overall improved physical fitness, lower levels of stress, and increased feelings of relaxation and well-being. All of which can be useful when treating cancer. However it should be noted that exercise in general is good for combating cancer, but it takes second place to diet. Which is why it is important to note that yoga practitioners, on average, eat more healthy food than most people, are more likely to be Vegan or Vegetarian, and have significantly reduced rates of cancer. And cancer is not the only physical disease that can be combated with exercise and diet. Yoga is also helpful when used with conventional medical treatment to help relieve some of the symptoms linked to cancer, asthma, diabetes, drug addiction, high blood pressure, heart disease, and migraine headaches. Yoga also helps to reduce cholesterol levels when used with diet and regular exercise. Randomized clinical trials have shown that yoga helps relieve the pain of arthritis and also lowers the chances of anxiety, stress, and depression. Recent studies of cancer survivors, especially women who have had breast cancer, suggest yoga may help improve several aspects of quality of life. Yoga + healthy diet is just one of many breast cancer cures being touted by the health and exercise industry. People with cancer and chronic conditions such as arthritis and heart disease should talk to their doctor before starting any type of therapy that involves movement of joints and muscles. Some yoga postures are hard to achieve, and damage can occur from overstretching joints and ligaments, so it is recommended you stick to the easier postures in the beginning. Pregnant women may want to avoid postures that cause pressure on the uterus, such as body twists. People who are sick, dehydrated, or pregnant may be harmed by bikram yoga or hot yoga, which is a vigorous workout practiced in a very warm, humid room (usually between 95� and 105� F). Yoga alone is NOT a cancer cure. A healthy balanced diet with lots of green veggies takes more precedence in that respect. Cancer is largely a disease caused by toxicity and acidity of the blood. Eating lots of green vegetables, which are high in alkaline, helps to put cancer into remission faster. Hatha yoga is the most familiar form of yoga for Westerners, and the kind usually taught in beginner-level classes. Hatha yoga emphasizes breath control and flowing postures. Ashtanga yoga is a little more intense than Hatha yoga, but still places emphasis on breath control and flowing postures. The typical class has a series of 6 poses that increase in difficulty. Power yoga is a Westernized form of Ashtanga yoga, which moves quickly between poses to increase your heart rate. Because of this, most classes typically last 30 to 45 minutes, rather than 60. Vinyasa yoga is usually combined with the Ashtanga form to create one dynamic class. The emphasis is placed on flowing from one pose to the next, particularly during the sun salutation. Bikram yoga, also known as "hot yoga," is typically performed in a room heated to 105 degrees and with a humidity of 40%. This guarantees that you will sweat a lot as you perform the 26 postures in a typical class. The amount of results a person gets from Yoga truly depends on how much they put into it. Yoga is truly one of those exercises where a person can put as much effort into it as they have the willpower to do so, and their results in terms of improved flexibility, strength, reduced stress, etc. will correspond to the amount of effort put into it. Plus its an exercise you can do at home. A very frugal one which won't cost you much because it uses your own body weight. Indeed there are a lot of exercises and exercise programs offering the same thing in terms of frugal body weight exercises. Many such programs utilize yoga positions as part of the exercise program, so its not truly that different, but they jazz it up with weights, resistance bands, bowflex gadgets, celebrity endorsements, etc. Lets take for example "Tapout XT", which is an exercise program offering extreme workouts at home you could purchase. Its designed for people who are into MMA (Mixed Martial Arts) and UFC (Ultimate Fight Club), which is really more an entertainment blood sport than an actual sport. It is like the old WWF / WWE, but without the ridiculous storylines. If you watch the promo video on their website you realize its really more about the celebrity endorsements aimed at getting people to get out their credit card. Note: If the Olympics starts allowing MMA style fights then we will know the Olympics has finally put the nail in the coffin and confirmed they're really just about entertainment value and money. The silly thing is that a lot of these exercise programs looking for your credit card are basically the same thing you can find on YouTube, for free no less. And it isn't so much the brand name of the company trying to push their individual exercise program at you - its the amount of motivation you have and the amount of effort you put into your exercises that truly matters. Which means, yes, you can get a truly ripped body by doing yoga, lifting weights at home, doing whatever sports you enjoy doing - all without spending a penny. Extreme workouts at home? You already have the power to do it. Its really just a matter of willpower. So if you're looking to challenge yourself and consider yourself an advanced yoga practinioner, I recommend looking into some Extreme Yoga Positions you can do at home. My mother used to visit a chiropractor back in the 1980s when she was suffering from back pain. She doesn't go there any more because she doesn't have back pain any more. Why? Because she does yoga, takes daily walks, bicycles, exercises, gardening. She rarely gets back pain any more because her posture is so much better now. So why do so many people go to chiropractors when they could just exercise and/or do yoga instead and improve their posture? Well there is multiple reasons. #1. Some people are lazy and don't like exercising. #2. People want a "quick fix" to their back problems and they don't want to put in the effort, so they mistakenly think a chiropractor can fix their problems quickly. In truth it will take MANY trips to the chiropractor to fix their back problems - and it will only be a temporary bandaid solution. Some people slouch or hunch over when sitting in a chair. Their posture gets worse and worse and they suffer back pain as a result. Which means that even if they do get their back worked on by a chiropractor, the end result will be that have to keep going back to the chiropractor for years and years because they continue to slouch and have bad posture. #1. Get up and move around regularly. Staying in the same position causes your muscles to get tired and you will start slouching more as they get tired. #2. Keep your body in alignment (straighten your spine, etc) while sitting and standing. #3. Use ergonomic office chairs. #4. Exercise regularly. Jogging, swimming and yoga are great ways to improve your posture through exercise. #5. Stretches. Seriously, do a series of stretches every morning and every night. #6. Wear supportive footwear. Avoid high heels. #7. Be aware of your posture when walking, carrying heavy objects, doing a variety of activities. #8. Lift with your legs, not your back. #9. Avoid unnaturally stiff posture. You should feel relaxed and comfortable, but without having to force yourself. #10. Avoid over exercising and when you do exercises like weightlifting, remember to use proper form so you don't hurt yourself. Of course bad posture and back pain isn't the only reason some people go to a chiropractor. Some are also suffering from injuries due to car accidents, or they may have something wrong with their bone structure (eg. in their spine) and its causing them severe pain. 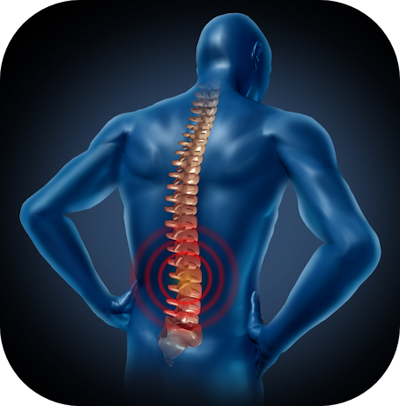 Thus chiropractors can often be necessary for certain types of ailments. If you don't exercise regularly and embrace bad posture you will suffer back pain continuously. And when it comes to exercising and improving your posture your best option is YOGA. Heck even chiropractors highly recommend that their patients do yoga.